Dear Father Kerper: It seems like there is a lot of evidence that there are ghosts that haunt people's homes. Do ghosts really exist? Thanks very much for your question about the reality of ghosts. Some people, of course, would brush it off as a silly thing to ask, but it actually leads us to consider anew two key Christian beliefs: first, that every human person is a communion of body (matter) and soul (spirit); and second, that human life continues forever after bodily death, first as a bodiless soul, and eventually as a resurrected human being with body and soul reunited. To put your question differently: can these bodiless souls – ghosts – appear and intervene in our lives? A few words from Pope John Paul II "Christifideles Laici"…. 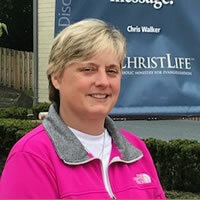 "Through their participation in the prophetic mission of Christ, "who proclaimed the kingdom of his Father by the testimony of his life..", the lay faithful are given the ability and responsibility to accept the gospel in faith and to proclaim it in word and deed, without hesitating to courageously identify and denounce evil." What we hear, what we see and what we receive each time we come to mass is a 'testimony of his life'. The liturgy not only recalls the events that saved us but actualizes them, makes them present. This testimony, the 'Good News' proclaimed by Jesus, is given to us so the blind see and oppressed set free. These encounters with Jesus transform our hearts so that spiritual blindness and emotional oppression become defeated and we may participate in an everlasting life with Him. Prayer can be a mixed bag. Sometimes there is deep joyand peace, other times there is dryness and distraction.Yet God is always teaching us something even if Hismethod of teaching changes. God’s ways can seem, notonly mysterious but also ironic. We see God’s sense ofhumor most poignantly in the lives of the saints. InAbraham we see a man who was to be a great nation, yetis called to sacrifice His only son. In St. Therese we seea young woman who desired to be a missionary yet died in a cloister. Even in Our Lady, we see a woman called to be both Virgin and Mother. God transforms us littleby little. But often it is not in the way we would choose.God’s ways are not our ways. Come let the Lord love you. Come be with the Lord. God does nothing unnecessarily. While it is true that we can access God present in our heartsand through our prayer, there is something profoundly necessary about Euchar istic Ador ation.As creatures we need something tangible to ‘hold onto’. God accommodates this ‘need’ of the human heart by making Himself the Bread of Life. Wegaze upon Him with our human eyes and He gazesback. We can take God into our hands, into ourmouths, and into our hearts. God allows us to interact with Him on our terms. He is truly with us. A few words from Bishop Checchio's Pastoral Letter…. "In offering this pastoral letter my desire is to call every Catholic in the Church of Metuchen to be, in a sense, firewood. As your chief shepherd, my responsibility is to call you, to be materially and spiritually ready for God to set us on fire with faith, hope and love. In his apostolic letter The Joy of the Gospel, Pope Francis has told us, "We strive to light a fire in the heart of the world" (n. 271)….I am inviting and counting on you to light a fire with me in the heart of our part of the world. I want us — the laity, religious, deacons, and priests of the Diocese of Metuchen — to be kindling that is set aflame by the Holy Spirit, allowing God's love and power to burn more brightly here in Central New Jersey. 120. 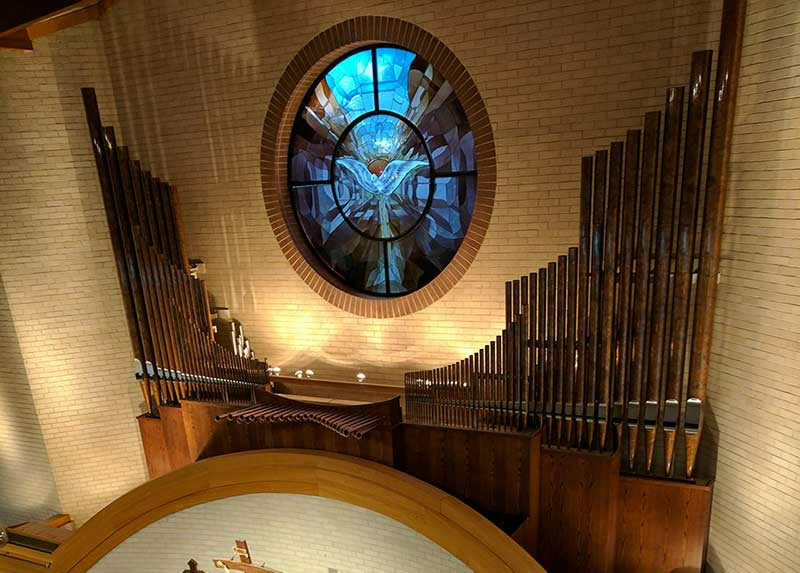 In the Latin Church the pipe organ is to be held in high esteem, for it is the traditional musical instrument which adds a wonderful splendor to the Church's ceremonies and powerfully lifts up man's mind to God and to higher things. A few words from Pope Francis…. Jesus' whole life, his way of dealing with the poor, his actions, his integrity, his simple daily acts of generosity, and finally his complete self-giving, is precious and reveals the mystery of his divine life. Whenever we encounter this anew, we become convinced that it is exactly what others need, even though they may not recognize it: "What therefore you worship as unknown, this I proclaim to you" (Acts 17:23) (Joy of the Gospel. Art.265). Jesus makes Himself present, not only in a far offplace like Rome, but at every Catholic Church inthe world. He waits, He longs, He remains. Jesus isfaithful to His promises. There is great comfort inknowing that wherever we might be, we know exactlywhere God is: the tabernacle. Jesus is always waiting for us to draw near Him—He even, in a sense, makes Himself a ‘prisoner’ for love of us. May we draw near every day to receive grace, healing, and peace. 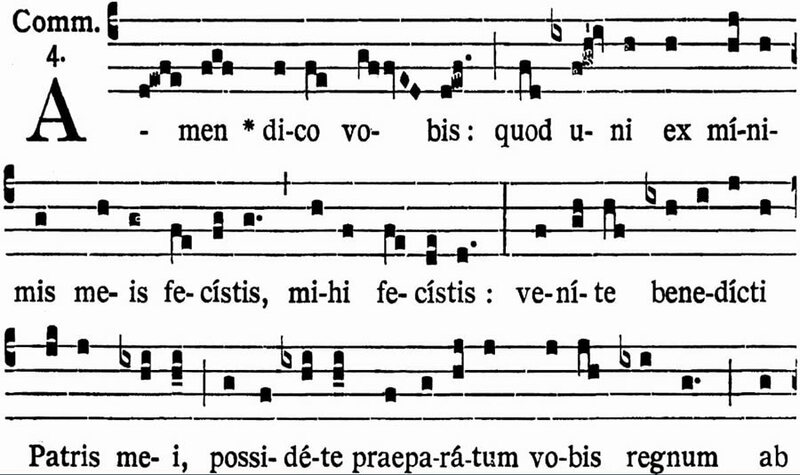 A: Sacred music is “that which, being created for the celebration of divine worship, is endowed with a certain holysincerity of form,” according to the Sacred Congregation of Rites in its Instruction on Music and the Liturgy, Musicam Sacram (1967, ¶4). As defined by the Constitution on the Sacred Liturgy, Sacrosanctum Concilium (1963), sacred music surpasses merely religious music when it is joined to the liturgical rite to become “anecessary and integral part of the solemn liturgy,” whose purpose is “the glory of God and the sanctification of the faithful” (¶112). If someone was to ask you, "What does it mean for you to follow Jesus? ", what would be your response? Might you find it confusing or unfamiliar? Or maybe you are someone who could answer the question. Maybe you are like our friend Bartimeaus in last weeks 'Come Follow Me' reflection who had an encounter with Jesus and now has a great desire to follow him on 'the way'. Most of us may be a little unsure how to respond or even really know what the question is trying to ask of us. What have we been experiencing these last several weeks during Holy Massat the point of the reception of Communion? Well, if you attend Mondaythrough Saturday daily Mass, many of you bring a Magnificat or Daily Prayer type publication; and as Father is about to receive the Sacrament, healong with the congregation recite the biblical text in their missal listed as theCommunion Antiphon. We find these assigned texts in the Sacramentary andthe Roman Gradual. You have noticed at weekend Masses, we are singingwhat is much like a Responsorial Psalm during Communion. This short refrain is easy to sing – no need to carry a hymnal with you in procession! Every day we encounter inconvenience, temptation,and the painful recognition of our own weakness.These struggles can often feel like more than wecan bear, so how can we stay afloat? In EucharisticAdoration Jesus strengthens us to 'do battle' and toview the difficulties of daily life as a participationin His Cross. Not only do we receive the vision tosee reality—but also the hope necessary to endurefaithfully to the end. God’s grace is sufficient. Often in life we have personal challenges. How we choose to deal with them can determine a certain pathway we choose to live our lives. Take for instance our blind friend in this scripture passage. If you were to read the entire passage you would find out his name is Bartimeaus. You would hear that he was sitting by the roadside begging. I am sure he sat there daily to try and deal with his own personal challenge. But this day, when Jesus enters into his life, he does something differently. When a dear friend ofmine encouraged me toattend ChristLife, my initial reaction was to politely decline. After more conversation, she quelled my anxiety,and I realized she knewwhat I needed more than Idid. I conceded and em-barked on what was to become a life changingjourney. ChristLife emboldened me to delve into myfaith and to nurture my relationship with Christand all the offerings of the Church. It hasbrought awareness to the graces that He offersus on a daily basis, and the courage and willingness to accept and embrace them. I havesurrendered my trust and have faith in Jesus asour Savior. Through a gradual transformation,the series has had profound effects on me,bringing peace, healing, strength and meaningto my life. I would like to thank all who have made my Installation as Pastor a truly wonderful event. First, my thanks go to Almighty God, who never ceases to amaze me in my vocation as priest. In the past 29 years of my priesthood He has led me to many different apostolates and duties. Second, I would like to thank his Excellency, Bishop James Chechio for taking time out of his busy schedule and my brother priests who came to celebrate the installation. Third, thanks go to my mother and sister and family who drove from Connecticut to be here. They were quite impressed with the parish and parishioners of St. Magdalen. Next, I would like to thank the staff of St. Magdalen's, the music ministry, office staff, gardening and flower arranging volunteers. Everyone coming together was a true blessing. Finally, I would like to thank all of you for being so welcoming to me over the past three months. Truly, I feel right at home with the good people of St. Magdalen. May God be praised and I look forward to serving you as your pastor. Please continue to keep me in your prayers. Q: Why do we use six candles on the altar at Mass? A: In the Liturgy of the Extra-Ordinary Rite, (Mass before the Second Vatican Council) the number of candles signify the rank of the Mass or the person celebrating it. There are 7 when a Bishop is the main celebrant. Though only two candles are required in the Ordinary Rite (Mass of Pope Paul VI), it is an option for the celebrant to use more. 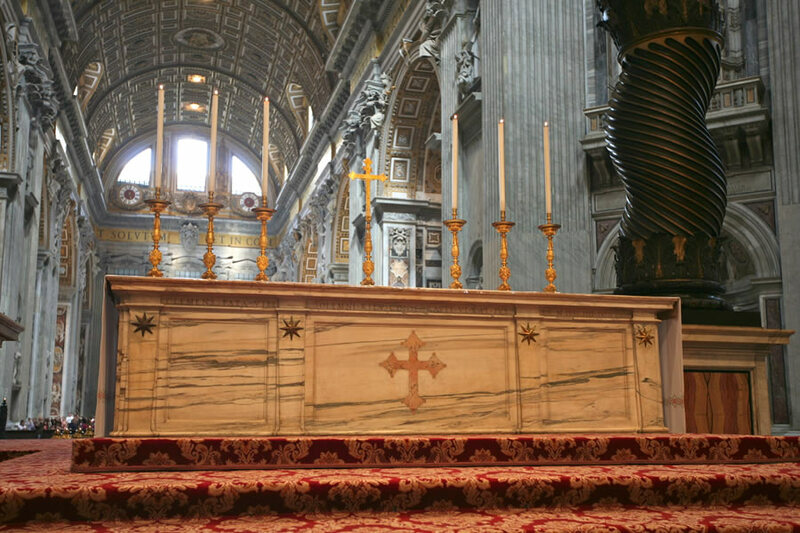 In fact, Popes Benedict XVI and Francis have used the more traditional six candles with the crucifix in the center. Historically, candles have a long and detailed account. Originally, they were used for giving light. The first mention of candles in a Mass procession is in the 8th century. The "7" refers to the vision of St. John. The number of candles depended on the rank of the feast, 12 for Christmas and Epiphany and at Easter 12 and 10 behind the altar. In the middle ages, there were 9 used for feasts of the Angels and 12 for the apostle's feast days. After the 16th century we see legislation requiring 6, 4 or 2 candles depending on the rank of the feast. With seven for solemn pontifical Mass it's four on the right and three on the left of the altar. Though this is not the law of the church anymore, nevertheless it is a custom that has never been abrogated and therefore 2, 4, 6 and 7th with a bishop can still be used.